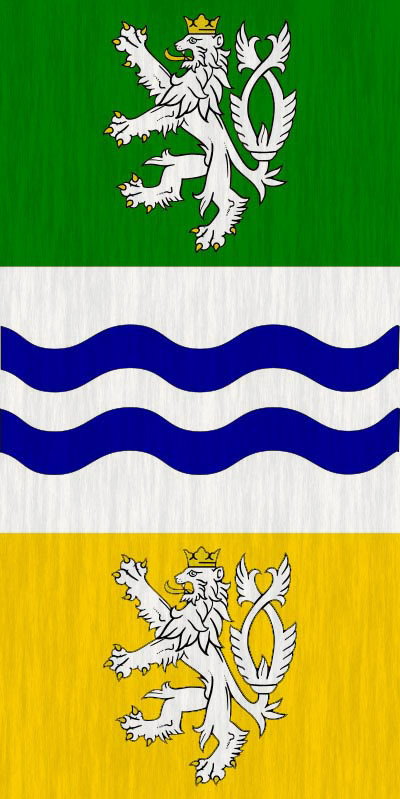 The Zelena Republic borders SW City to the south west and Summerland to the east and is home to about 7000 people, most living in the capital city of Zelena . Zelena is a parliamentary republic and has elections every 5 years for the president and prime minster. Zelena started as a small farming village built on swampy islands for defense. This fertile and easily defended location allowed it to grow into one of the only towns in the region. Being the only stable and well defended town in an unstable region full of anarchy allowed the town to extend its influence and protection over the local villages. By 1710 when Zelena was visited by a fleet of ships from the Scarabian Empire the country was a loose collection of villages under the protection Zelena. Zelena was the only settlement of note in the area and the imperial fleet announced that the town and local villages were now part of the Empire. For about a century Zelena existed as a semi-independent territory as part of the empire, but was mostly ignored due to its remote location and lack of economic or tactical importance. By the time the Civil Revolt of 1855 occured, Zelena had been forgotten by the Empire and it quietly reasserted its independence during the revolt. During the civil era Zelena was stagnant and ignored by the outside world. When no heir for leadership was obvious in 1896 the military stepped in to temporarily run the country, a situation that became permanent rather quickly. The military used the threat of raiders and outside dangers to funnel resources into an already bloated military which lead to a period terrible stagnation and oppression in the country. While SW City was entering its corporate era Zelena was only just beginning to industrialize. Modern industrial development was slow due to extreme government corruption and a lack of outside trade and technology. In 1999 the dictatorship was peacefully overthrown in an event known as the "Wool Revolution" which was started by Zelena's shig farmers refusing to harvest wool and blocking the streets of the city with their flocks. The government was hesitant to act against the protesters as they knew the country would erupt into violence if shigs were harmed during a crackdown. The government agreed to the demands of the protesters and peacefully stepped down. After the wool revolution a new government was formed and the charismatic Vladislav Palach, lead instigator and organizer of the revolution, was proclaimed interim president. From 1999-2002 the interim president had a very large hand in shaping the country's new constitution, laws, and economic policies. The granting of citizenship to all Kyberosoba was another important event in the history of Zelena and was one of the first major acts of the new democratic government. The Kyberosoba gained a permanent and safe home while Zelena gained a group of hard working cybernetics experts. The Kyberosoba shared their power-cell technology with Zelena and were excited to finally have a secure location to set up an industry to mass-produce these advanced batteries, and Zelena was happy to finally have a valuable export product. Over the next decade Zelena rapidly developed at a seemingly impossible speed.